This highly original and talented duo will make their first UK appearance in Ketton. Their magical world of music, dance and song in a cabaret atmosphere will take you into the world of fairgrounds of the roaring 20s. But Tom Waits, Marc Perrone or Radiohead are never far away. Between electric accordion, music box, mellotron and other curiosities, the room will soon be carried away by their psychedelic cabaret! 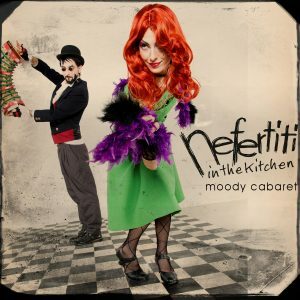 This rock cabaret mixes Kurt Weill and Tom Waits with trad jazz, blues, rock and folk. Jen Rival (Cie Bluffonne) – singer, musician, dancer and actress and Nicolas Méheust (Dominique A, Chien vert, Strupx) – multi-instrumentalist.